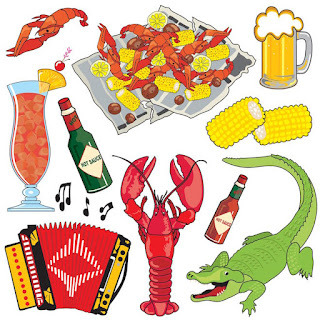 Louisiana has a rich and diverse cuisine that reflects the cultural diversity of its inhabitants which include the original Indians, plus the descendants of a variety of settlers, including the French, Spanish, English, German, Acadians, Africans, West Indians, Italians, Portuguese and Irish. Food just like the music of Jazz combines together the best from different cultures when people immigrate to a new place bringing with them their ethnic cooking ideas and knowledge but also a desire to adapt to their new surroundings. No other American state has a more diverse history than Louisiana which has been governed under 10 different flags beginning in 1541 with Hernando de Soto's claim of the region for Spain. A century and a half later, after the Spanish interest in the territory had faded away, La Salle claimed the region and named it Louisiana in honor of King Louis XIV, a monarch of the House of Bourbon, France. Subsequently over the years Louisiana was at one time or another subject to the Union Jack of Great Britain, the flag of Spain, the Tricolor of Napoleon, the fifteen stars and stripes of the United States, the Lone Star flag of the Republic of West Florida and the Confederate flag. By the start of the 1800's, during the Spanish rule in Louisiana, a few thousand French-speaking refugees from the region of Acadia (now Nova Scotia and surrounding regions of Canada) had made their way to Louisiana after having been expelled from their homelands by the British who had gained possession of the region. 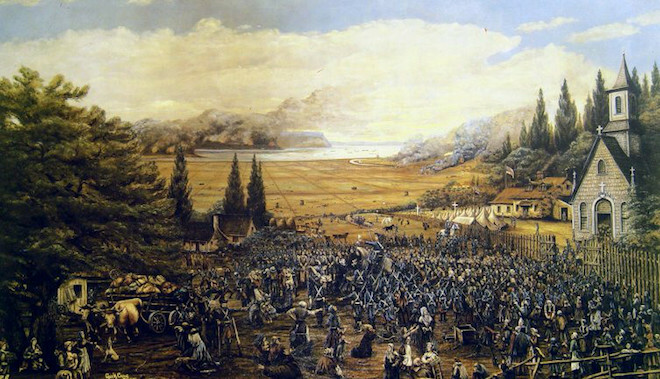 The Acadians settled mainly in the southwestern part of Louisiana now called Acadiana and developed what became known as Cajun culture. 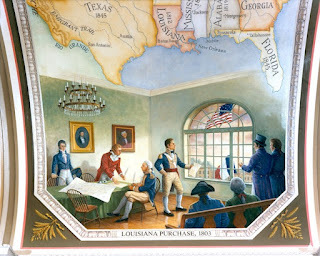 In 1803, Louisiana became a part of the United States because of the region's importance to the trade and security of the American mid-west. President Thomas Jefferson negotiated the Louisiana Purchase with Napoleon for approximately 15 million. Louisiana Creole is a term used to describe people whose ancestry traces to colonial Louisiana prior to the Louisiana Purchase. These people are mainly of French, Spanish, Native American or African heritage or a mixture of these heritages. 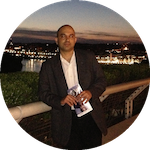 To understand the differences between Creole and Cajun cuisine we must take a look at the profile of the early settlers, their cultural differences and lifestyles. 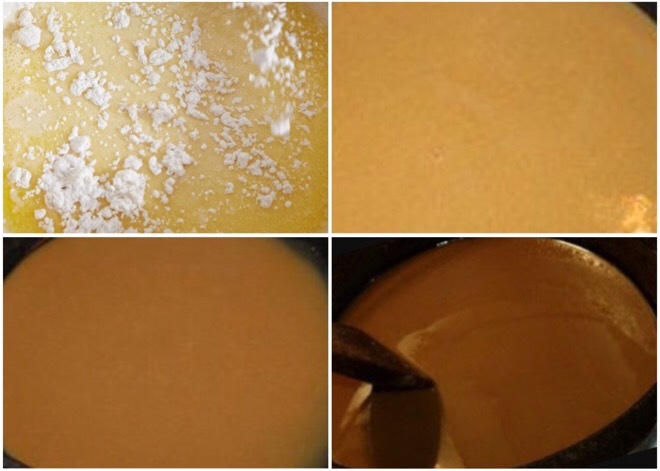 These differences can be observed in the style of cooking, usage of different ingredients and in the preparation of the thickener used as the base of sauces, soups, stews and other savory dishes. The thickener used can vary from vegetable okra, filé powder or roux. Creole cuisine is the influence of many different cultures. The early settlers in Louisiana were a mixture of primarily rich and affluent families from France and Spain and also the working class immigrants. They adapted classic European cooking techniques to adjust to the local ingredients like crawfish, snapper and mirleton a pear-shaped vegetable. Additionally immigrants from other parts of Europe mainly from Germany, Italy, Portugal and Ireland, the West Indies, the Africans and the Choctaw Indian natives influenced the Creole cuisine with their own cultural habits, cooking styles and traditions, creating a diverse cuisine, very specific to Louisiana. Creole seasoning primarily relies on a variety of herbs like oregano, bay leaf, basil, parsley, rosemary, thyme and paprika. There also tends to be an extensive usage of tomatoes influenced by the Spanish and Italian cuisine, though its usage varies among the different ethnic groups based on their style of cooking and preferences. The thickener used for various food dishes can vary from vegetable okra, filé powder or roux. Vegetable okra is a West African influence on the Creole cuisine and the filé powder is a Choctaw spice made from dried and ground sassafras leaves. 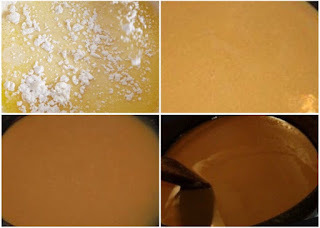 Creole roux which is based on French influence, tends to be lighter and is made of butter and flour. The lighter version of the roux complements seafood dishes. The great variety of ingredients and cooking styles in Creole cuisine is due to its cultural diversity and lifestyles of its different immigrants. There is a common myth that Creole cuisine is heavily influenced by wealthy immigrants, but it is more accurate to say that it is a rich confluence of different cultures and cooking styles. 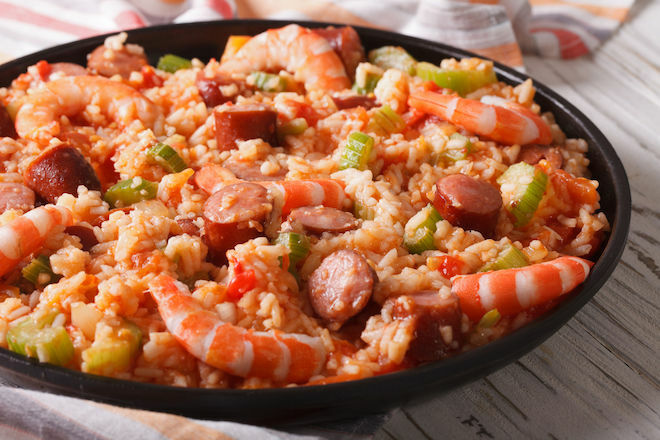 Cajun cuisine is a style of cooking that has its roots in the French-speaking refugees from the old region of Acadia in Canada who immigrated to Louisiana having been expelled from their homelands by the British. They settled mostly in southwestern Louisiana surrounded by swamps, bayous and prairies; therefore their cuisine is more rustic and influenced mainly by the local ingredients, meat and fish obtained from hunting and fishing, and a simple yet flavorful cooking style. Cajun seasoning uses more garlic and tends to be well seasoned using many different peppers such as white and black pepper, bell peppers and cayenne peppers. Onions and celery are commonly used with bell pepper rather than carrots as a base for many dishes. Cajun roux is made of lard or oil and flour as the early Acadians had limited access to dairy products. The Cajun roux tends to be darker and cooked on a low fire for a longer period of time. The dark roux with its dense nutty flavor complements the meat dishes such as the gumbo. 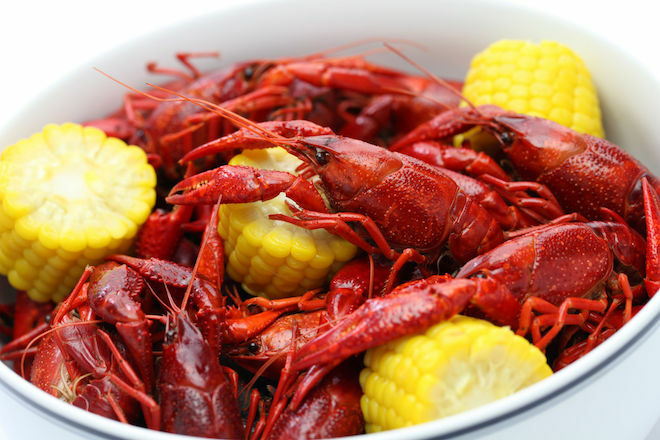 A trip to Louisiana cannot be complete without trying some of its delicious, iconic Creole and Cajun influenced food. There are many variations in the food dishes due to the diversity of cultures, cooking habits and customs, which can be recognized and appreciated after understanding the differences between Creole and Cajun cuisine. Gumbo is a stew that originated in southern Louisiana during the 18th century. The dish combines ingredients and culinary practices of several cultures, including French, Spanish, German, West African and Choctaw. It consists of meat or shellfish cooked in a flavored stock, with a thickener and what Louisianians call the 'Holy Trinity' of vegetables, namely onions, bell peppers and celery. The thickener used can vary from vegetable okra, the Choctaw spice filé powder or roux. The dish likely derived its name from either a word from a Bantu language for okra (ki ngombo) or the Choctaw word for filé (kombo) and may be based on traditional native Indian or West African dishes or may be a derivation of the French dish bouillabaisse. 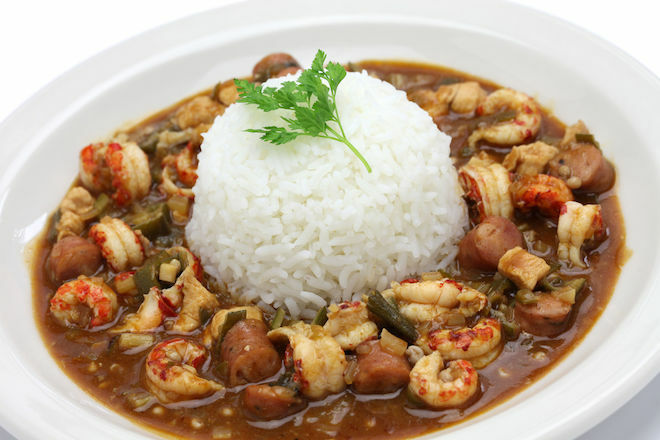 Creole gumbo generally contains shellfish, tomatoes and a dark roux, filé, or okra as a thickener. Cajun gumbo is generally based on a darker roux and is made with shellfish or fowl. Sausage or ham is often added to gumbos of either variety and it is traditionally served over rice. Jambalaya is a Louisiana dish which has its origins in several-rice-based dishes of Mediterranean cuisines of Spain and France, especially in the Spanish dish paella (native to Valencia) and the French dish known as jambalaia (native to Provence). It gets its uniqueness to Louisiana from the Caribbean influence of using different spices. It consists of an assortment of meats and vegetables mixed with rice. Traditionally, the meat always includes sausage, often a smoked sausage such as andouille, along with some other variety of meats and/or seafood. The flavor base is usually made of what Louisianians call the 'Holy Trinity' of vegetables, namely onions, bell peppers and celery, though other vegetables such as carrots, tomatoes and garlic are often used along with a variety of other spices. The difference between Cajun and Creole preparation of the Jambalaya is the presence or absence of tomatoes and how the meat is cooked. Creole jambalaya uses tomatoes which gives it its distinct red color while traditional Cajun doesn't. Also in Cajun cooking the meat is browned in a cast-iron pot and the bits of meat that stick to the bottom of the pot give a brown color to the Cajun jambalaya. The crawfish boil is a traditional Cajun tradition and a celebratory event or family weekend gathering in Louisiana where crawfish, potatoes, onions and corn are boiled in large pots over propane cookers. Other optional ingredients added to the pot include garlic, mushrooms and sausage. Seasonings include crab boil spice mixture packets, cayenne pepper, hot sauce, salt, lemons, and bay leaf. A 'Boil Master' is in charge of making sure the ingredients go into the pot in the proper sequence. Étouffée is a dish found in both Cajun and Creole cuisine typically served with shellfish over rice. It is very popular in New Orleans and in the bayou area of the southernmost half of Louisiana. 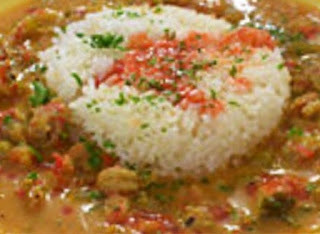 Étouffée borrowed from the French verb 'étouffer' means 'smothered' is a common cooking technique used in both Cajun and Creole cuisines of Louisiana. The technique involves cooking meat or fish in a covered pan over low heat with a flavorful sauce. The most traditional version of the dish is made with crawfish though any other shellfish such as crab or shrimp can be used. The preparation of the dish can vary depending on the preference of Creole or Cajun seasonings, usage of tomatoes and the roux used for thickener. A po' boy (also po-boy) is a traditional sandwich from Louisiana. 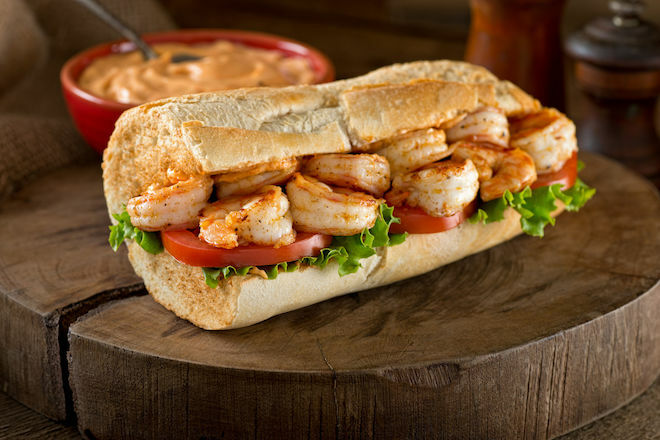 It typically contains roast beef or fried seafood which includes shrimp, crawfish, oysters and crab served on baguette-like New Orleans French bread. Though in the late 1800s fried oyster sandwiches on French loaves were known in New Orleans and San Fransisco as 'oyster loaves' there are countless stories to the origin of the Po' boy sandwich. A popular story is that during the Great Depression there was a street car strike. Some former street car conductors who owned a sandwich shop created this signature dish, and offered it for free to the striking workers and hence the name poor-boy sandwich.